If you're writing a resume that will be reviewed by an ATS, you'll need to throw out everything you know about resume formatting for human readers, and learn a new set of rules. 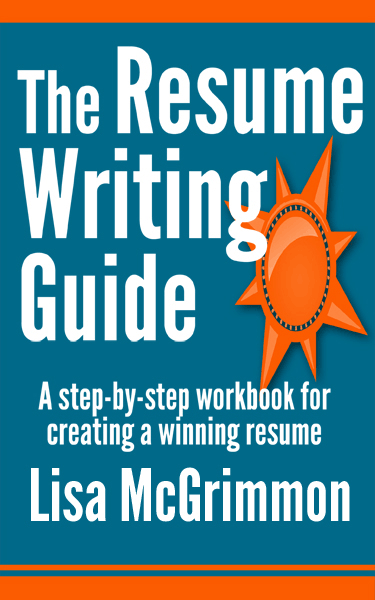 Actually, in a lot of ways, formatting a resume for an ATS is easier than formatting a resume for a human reviewer because the structure is much simpler, there are fewer choices to make, and the ATS optimized resume doesn't have to fit nicely on a page the way a human-friendly resume must. However, with ATS screening, you really do need to get the formatting right to ensure your resume will be read. I'm jumping right into the topic of formatting your resume for an ATS and assuming you know what an ATS is and how it might be a factor in your job search. 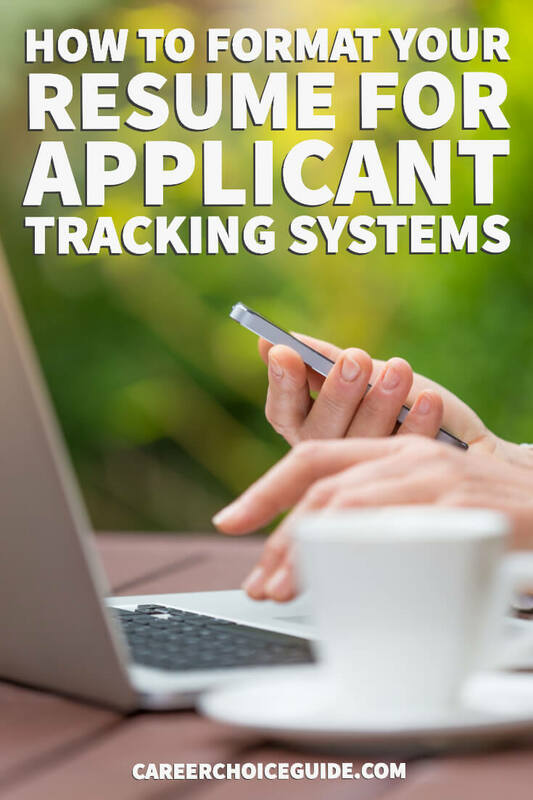 If you need a quick summary about what an applicant tracking system is and how to tell if it might be relevant to your job search, you can find it here. Remember, when you write an ATS optimized resume, you are formatting it to make your resume easy for a computer to read. Formatting for a human reader is not your primary concern. However, a human reader will eventually see your resume if it scores well in the ATS screening process, so you can't completely ignore the needs of a human reader. There are a few strategies you can use to make an ATS optimized resume more attractive to human readers without causing problems with the software. When you write a resume for human review, you might get a bit fancy with your resume organization in order to bring certain relevant experiences up to the top of your resume. These strategies are effective when a human reviews your resume, but they can cause problems when an ATS screens your resume. You should stick to presenting your experience in a straightforward, predicable reverse chronological order when your resume will be screened by an ATS. You need to avoid italics and underlining on ATS optimized resumes, as well as any other fancy formatting that is often used on traditional, human-reviewed resumes. You can, however type section headings in all capital letters and use bold font to highlight sections. The capitals and the bold help identify section headings for the ATS, and when your ATS resume is eventually seen by a human reader, the capitals and bold will make your resume more readable. Including a blank line before separate sections (i.e. before a section heading, or before a new job entry) helps the ATS to understand which information should be grouped together in your resume. Similarly, you should avoid putting blank lines in sections that belong together. For example, all of the information about a job you have held should be grouped together with no extra blank lines breaking up the entry. Standard fronts like Arial or Verdana are safe for a resume that will be read on a screen. If you choose an uncommon font, it might not be installed on the employer's computer, and that can cause a lot of problems with reading your resume. Also, there's no need to get fancy with font sizes. 12 point font is fairly standard. Remember, you don't have to make an ATS optimized resume fit nicely on a page, so there's no need to change font sizes throughout the document. Bulleted point form is easily interpreted by an ATS as well as a human reviewer because the bullets clearly separate new entries. Standard, round bullets are completely acceptable to use on an ATS-friendly resume, but do avoid any other non-standard bullet styles. A resume that will be screened by an ATS can be longer than two pages if necessary. If you need more than to pages to fully explain all of your skills and experiences, go ahead and use more than two pages if you are writing an ATS optimized resume. Avoid extra spaces between words and avoid justifying or text. Left align everything. You may consider omitting your address, particularly if you live far from the job and are concerned employers may be filtering resumes based on location. Your profile will be very similar to a profile written for a traditional resume. Do look for opportunities to include important keywords, and, if at all possible, include the job title exactly as it is written in the job ad in your profile. Some resume writers recommend including a list of individual keywords at the top of the resume, others recommend including a summary of skills that describe your skills and achievements in bulleted point form. I prefer to include a summary of skills and achievements. Although a keyword list does give you an easy opportunity to fill your resume with the keywords an ATS might be looking for, more sophisticated ATS software is able to recognize and give more value to keywords in context. That is, the ATS can tell the difference between a "disembodied" keyword that is just a part of a keyword list vs. a keyword that is used as part of a natural phrase describing that skill. For that reason, I tend to recommend using a skills summary. Also, a skills summary allows you to describe your level and quality of expertise and experience with specific skills, and that type of description, when done well, will go a long way to make a positive impression on the human reviewer once your resume reaches that stage. Be sure to look for opportunities to include relevant keywords describing your work. List your work experience in reverse chronological order (most recent job first). Avoid strategies that are sometimes used with human-reviewed resumes to move certain information to the top of your resume. Keep it simple. Including details about your course work is optional. Typically, recent graduates are more likely to include this information than people with established careers. However, including details about coursework can provide an additional opportunity to add relevant keywords, and it is crucial if the job you are pursuing requires a candidate who has completed specific courses. Follow the recommendations for formatting your work experience. Organize your volunteer work in reverse chronological order, and look for opportunities to include relevant keywords. Again, be sure the dates are included after the name of the organization and after the title that describes your volunteer role. Your ATS optimized resume will not be the most attractive resume you've ever seen. Don't worry. This plain formatting is crucial if your resume will be read correctly by a software program. Employers who use applicant tracking systems are aware of these formatting requirements and expect to see resumes that are very plain looking.